Em’s choice this month – we’ve all read some Stephen King along the way – Em LOVES him I think 🙂 and so it’s no surprise she’s nominated one of his for BotM. I’m really looking forward to reading these short stories as I’ve not done any Stephen King for a while. As we’re doing The Running Man and The Long Walk, we’ll be on these for March and April to give everyone chance to read both. This entry was posted in Reviews and tagged readalong, running man, Stephen King, The Bachman Books. Bookmark the permalink. Nice one Em! I love Mr King as well. 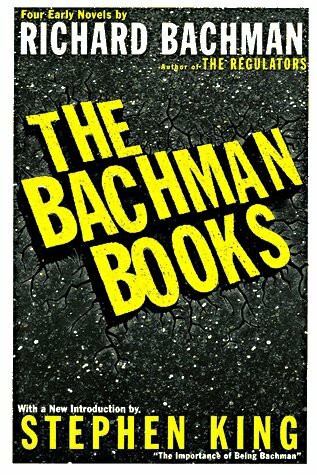 The Bachman Books were good actually. I think Roadwork is possibly my favourite out of them though for some reason it is the least popular. Yup, I liked The Long Walk as well actually. It’s must be over 10 years since I last read them though, I might feel differently about them. Will you be reading along with us?